On July 14–15, an international group of scholars will gather at Notre Dame’s London Global Gateway for a conference called Slave Narratives in British And French America, 1700–1848. 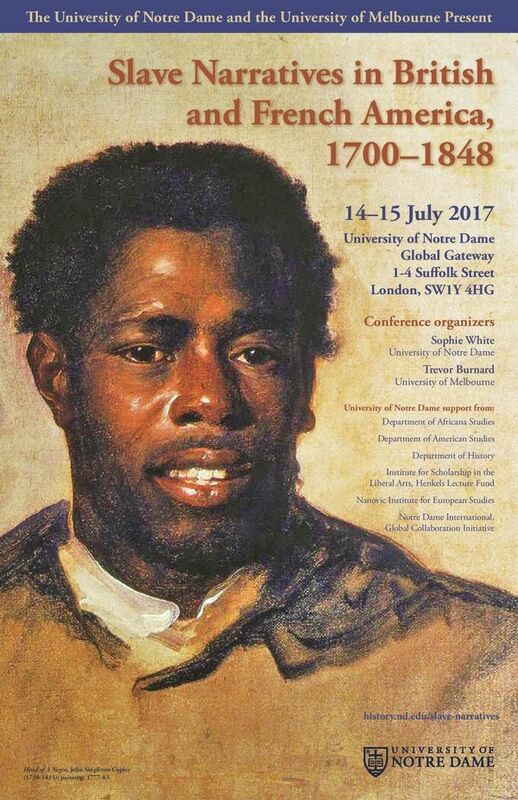 Organized by Sophie White (University of Notre Dame) and Trevor Burnard (University of Melbourne), this conference seeks to propel our thinking about how we understand the quotidian existence of enslaved people in the two biggest slave systems in the Greater Caribbean during the height of plantation slavery. Specifically, this conference focuses on alternative types of slave narratives and interrogates how such narratives were produced, the slave societies in which slave narratives existed and the meanings that we can attach to such narratives.